All early care and education providers are encouraged to complete the 2019 Cost of Care Survey (CCS). 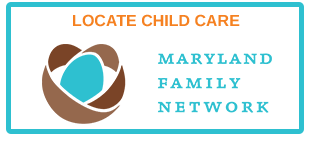 Individuals who complete the survey for their programs will earn one or two PAUs toward the Maryland Child Care Credential. Apply for a MARYLAND CHILD CARE SCHOLARSHIP. The federal rap-back system is live and submissions are being processed. Interested in becoming licensed to operate a child care Program (child care center or family child care home)? Click this photo to learn about the licensing process. Join the Early Childhood Community!